This Organic Summer Spirit is the essence of summer in a bottle. This unique vintage spirit is meant to be an annual recurrent product. 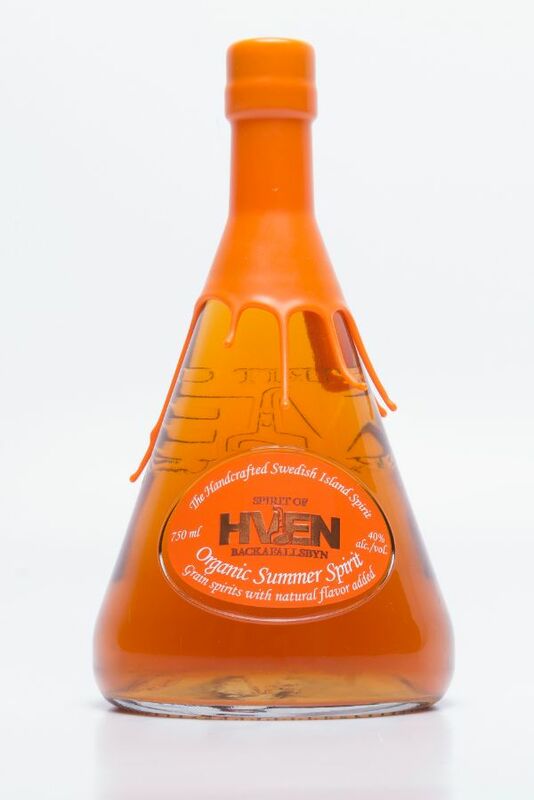 This very unique recipe with Bitter Orange, Rhubarb, Elderflower and Apples together with locally harvested botanicals, distilled in small signature copper pot stills of Hven that creates sweetness and balances the recipe perfectly with slow American oak maturation. The scent brings us right out on the summer meadows, with the flowers, the grass, the strawberries and the wonderful smorgasbord we await so dearly. Pacific Edge Marketing Group, Inc.